It seems like everywhere you look, there’s a new popular superfood being touted for its amazing healing powers. Whether it’s on a talk show, at a juice bar, or in a celebrity magazine interview, superfoods have become all the rage for achieving improved, radiant health. But many of these ultimate superfoods are simply “the flavor of the week.” They gain popularity for their health benefits, fly off the shelves, and become replaced by a new superfood shortly after. Despite the fuss over superfoods, you may be surprised to learn that most healing foods can already be found in your kitchen. Let’s go back to the basics and take a look at 15 everyday superfoods with amazing healing powers that are hiding in your kitchen. 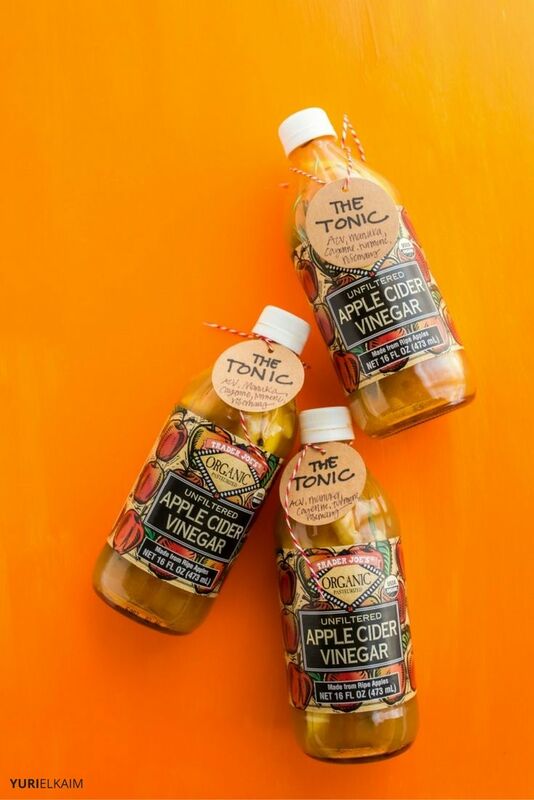 Apple cider vinegar’s healing powers aren’t an old wives tale. This form of vinegar is a nutritious tonic that comes with a slew of health benefits. Not only does apple cider vinegar (ACV) contain friendly bacteria to keep your gut healthy, but it’s also been shown to help lower blood sugar levels in people with type 2 diabetes (1). Since apple cider vinegar can help manage blood sugar, it may also help curb our appetites, which can lead to healthy, sustainable weight loss. As a living food, unpasteurized ACV contains enzymes to help improve digestion and absorption of nutrients, plus it contains good bacteria for natural detoxification (2). ACV also contains high levels of chlorogenic acid, which can help lower LDL “bad” cholesterol levels. Chlorogenic acid also acts a natural chelator by binding to toxins to safely eliminate them from the body (3). It’s also incredibly cost effective health foods as it has multiple uses. A gallon of it will set you back about $20 and can last you for months when used regularly. But if you don’t want that much, it can also be purchased in smaller bottles for less than the price of a Starbucks latte. I usually start my day off with apple cider vinegar to keep my immune system strong – I drink 1 to 2 tablespoons of of ACV in a glass of water. You can also make a delicious and effective cold and flu-fighting tea by combining lemon, manuka honey, ginger and apple cider vinegar in a mug of boiling water. Turmeric – an ancient ayurvedic remedy – has been considered a superfood for centuries. Sometimes referred to as “nature’s aspirin,” turmeric is known for its anti-inflammatory benefits, along with its ability to help relieve the pain from conditions such as arthritis. Turmeric is also commonly used to relieve digestive symptoms such as gas. One of the reasons turmeric has healing powers is because it contains a compound called curcumin. Curcumin can cross the blood-brain barrier, which makes it extremely bioavailable for the body to use and assimilate right away (4). This may explain why turmeric can be helpful for reducing inflammatory conditions quickly. 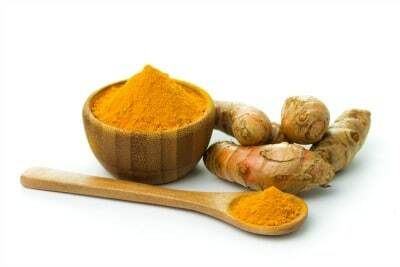 You can include turmeric in your diet by adding it to curries, soups, stews, juices, and smoothies. Another way to enjoy turmeric is an ancient recipe called “golden milk,” which is a turmeric tea made from warm homemade nut or coconut milk, cinnamon, ginger, raw honey, and, of course, turmeric. 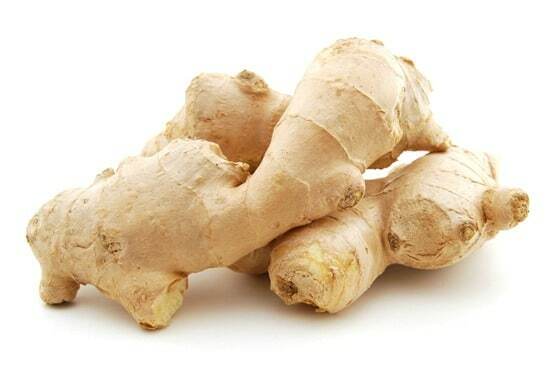 Ginger is known for its ability to soothe upset stomachs and reduce cold and flu symptoms. Believed to first be used in southeast Asia, ginger root has been used in ayurveda and traditional Chinese medicine to help reduce the severity of a wide range of conditions including high cholesterol, high blood pressure, tense muscles, and digestive problems. As you can guess, much like turmeric, the reason ginger has been considered a healing food for thousands of years is linked to its anti-inflammatory properties (5). Although it has a bite to it, ginger can be blended into homemade soups, salad dressings, smoothies, or juices for a more subtle flavor. It’s also a popular tea flavor, especially when combined with honey. Perhaps the best part of ginger is how much bang you get for your buck. Ginger is relatively inexpensive, has plenty of health benefits, and can last for months when stored in an airtight zip-top bag in the freezer. Although hemp seeds are a trendy superfood right now, they’re going to hold their place as a powerful healing food. First, they contain plenty of protein, making them a favorite among vegans and vegetarians. 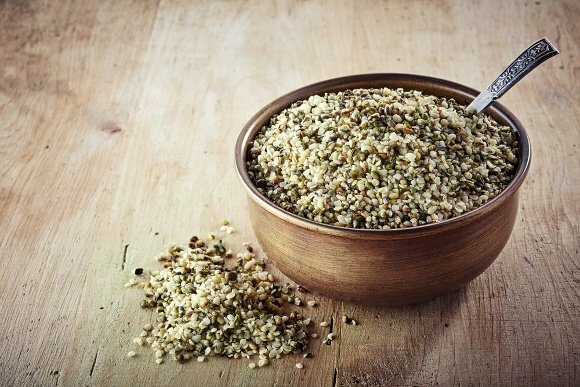 Seriously: Just 3 tablespoons of hemp hearts sprinkled on your salad or blended in your green smoothie will provide you with 15g of protein. Can you say nature’s protein powder? Second, hemp seeds are high in anti-inflammatory omega 3 fatty acids, with an ideal 1:3 ratio of omega-3s to omega-6 essential fatty acids. Eating anti-inflammatory foods is important because constant inflammation can lower our immune system and leave us more susceptible to illness – and the ratio is also important because many of the fats we eat today (like vegetable oils), are higher in omega 6 essential fatty acids. We need omega 6’s for our health, too – but when we have too much of them, they can actually cause inflammation (6). Today’s average consumption of omega 3 to omega 6 s is 1:15, if not higher. That’s five times the amount of omega 6’s we should be consuming (7). I use hemp seeds in my smoothies and my homemade breakfast cereals just to name a few. 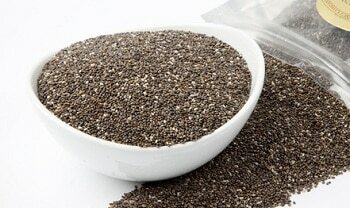 Although commonly known as a furry pet plant, chia is actually one of the best healing foods to have in your kitchen. As a rich source of fiber (that’ll keep you feeling full for hours) and omega 3 essential fatty acids, chia is a small but mighty seed. If you’re not sure how to include them in your diet, chia seeds have gained fame as the star ingredient in chia seed pudding. Since they absorb roughly 12 times their weight in water, whole chia seeds make for the perfect jelly-like texture in homemade puddings. You can soak them in your favorite nut milk and customize the pudding any way you’d like, since chia seeds don’t have a strong flavor. Chia seed pudding makes the ideal alternative to yogurt (since cow’s milk isn’t great for us), and there’s no limit to how you can eat it. Sauerkraut is one of the best foods to help replenish the good bacteria in your gut. Some health experts even call it a “beautifying salad ingredient: because it helps detoxify the digestive system. 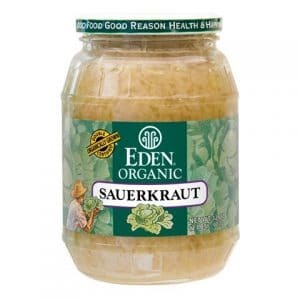 Sauerkraut is cabbage that has been fermented by a strain of bacteria called lactobacillus, which naturally exist on the outer layer of cabbage. When fermented, the lactobacilli produce lactic acid, which are probiotics (8). Fermented foods like sauerkraut could be just the healing food you need if you experience digestive or leaky gut issues. It’s simple and inexpensive to make at home from salt, water, and cabbage, or you can purchase it at your local health food store. Just be sure to opt for a raw, unpasteurized version –otherwise you’ll miss out on the superfood probiotics. If you’re interested in learning how to easily make your own sauerkraut at home, my friend Summer Bock – aka the Fermentationist – is my go-to resource for all things fermented and she’s a got a great video on how to make sauerkraut that you can watch for free. We’ve already gone into detail about how important omega 3 essential fatty acids are for reducing inflammation. Omega 3s are also crucial to support the health of your skin, your nervous system, and brain function. 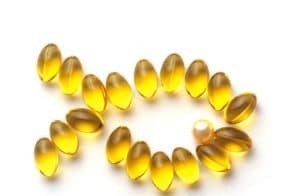 High-quality fish oil is an amazing healing food to add to your diet, as long as it’s been tested for (and is free from) toxic heavy metals, which are often found as a contaminant in the water fish live in. If you have any doubts about fish oil, you may find my friend JJ Virgin’s story helpful. Her son endured serious neurological damage from a terrible accident, and had written him off as dead. Based on her knowledge, JJ used high doses of fish oil to restore his health, and the story of his recovery was featured on CNN. It seems that green juice is available everywhere you go these days, but I recommend making it at home for a few important reasons. First, commercially prepared green juice is often pasteurized, which means all of the good bacteria in the juice get killed off. Second, the juice is less likely to be fresh pressed, and may contain added sugar in addition to the natural sugars occurring in fruit, raising its sugar level to higher than optimum. 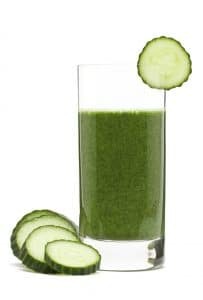 To make your own green juice at home you can use a blender (no juicer necessary). Either just add more water to your blend of fruits and veggies until you reach your desired consistency OR use a cheesecloth to strain out the fiber. The best ingredients to include in a green juice for a high dose of nutrition include kale, Swiss chard, bok choy, dandelion greens, spinach, watercress, baby kale and herbs such as parsley. You can sweeten the juice naturally by adding a green apple, pear, or lemon juice. Be prepared to experience long-lasting natural energy after drinking one of those bad boys! To always have some on-hand for an easy grab-and-go health boost, you can make green juice in batches. If you store it in an airtight glass container or mason jar, it will stay fresh for up to three days. Depending on the ingredients you choose, a homemade green juice can cost less than $2.50 per half-liter to make. That’s at least $5 of savings over what you’d pay at a health food store. Garlic may leave you with bad breath, but when it has such amazing healing powers for your health, who’s really to judge? Garlic long been on the superfood list for a variety of reasons. Garlic contains a compound called diallyl sulfides, which have been shown to have antimicrobial activity (9). The antimicrobial properties of garlic are what makes it so well known as a cold and flu fighting food. Diallyl sulfides might also help the body absorb iron more efficiently. This is because they can help increase the body’s production of ferroportin. Ferroportin is a protein that acts like the body’s gatekeeper of stored iron cells, which are released when needed. 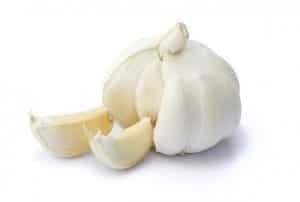 Garlic also contains several sulfur compounds, which help the liver detoxify (10). Avocados are good for much more than guacamole. From smoothies to gluten free sandwiches, or as the main ingredient in an avocado pasta dish, this healing superfood has a creamy texture and mild flavor that can be added to any meal to increase its health benefits. Like fish oil, avocado contains plenty of healthy fats (oleic acid, in particular) that are needed for healthy hormones, heart health and a properly functioning digestive system. 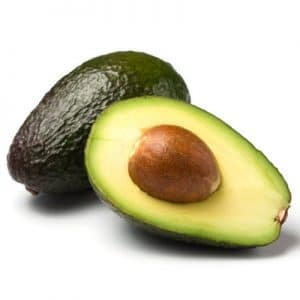 As a society, we’re finally beginning to embrace eating the kind of fat contained in avocados, This is great news because of the impact oleic acid has on reducing inflammation, which is the root of all illness and disease (11). Avocado also contains antioxidant compounds called carotenoids, which are ultra powerful antioxidants that help protect against disease (12). Carotenoids require healthy fats to help with their absorption in the body, which avocado happens to contain. This is yet another reason why avocado can be considered a healing superfood. Avocado oil is also a common ingredient in natural skin care products because its essential fatty acids make skin soft and smooth by contributing to building healthy cell membranes. Berries – such as cherries, blueberries, and raspberries – are one of the best superfood fruits to eat in abundance for three reasons: they contain a high amount of antioxidants, they’re rich in fiber, and they’re low in natural sugar. The fiber helps naturally detoxify your body. But berries also have among the highest antioxidant ratings of all fruits – not to mention they’re lower in sugar than most. 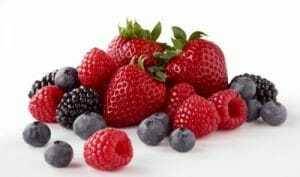 This means berries don’t have much of an impact on blood sugar. Berries have also proven their ability to improve cardiovascular health, thanks to their variety of antioxidant compounds, vitamins, and minerals (13). A particular antioxidant that berries contain is called anthocyanins, which can help reduce inflammation and have protective benefits for all organ systems (14). In addition to their health benefits, berries taste like a little slice to heaven. What’s not to love about this ever-capable, healing superfood? 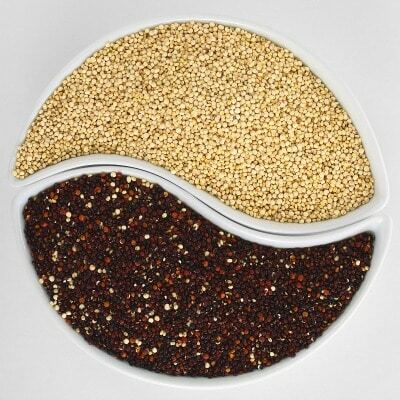 Commonly considered a grain, quinoa actually is more of a seed and it’s also closely related to the spinach family. Quinoa features many benefits of quinoa that make it a superfood, starting with its plant protein content. You see, most plant foods don’t typically contain all eight essential amino acids – but quinoa does, which makes it an ideal protein source for vegans and vegetarians. Quinoa is also rich in fiber, which as you know, detoxifies the body to get rid of harmful toxins that can get stored in fat cells to promote weight gain, and contribute to illness and disease. Another major benefit of quinoa is that it’s gluten-free. If you’ve read any of my previous blog posts, you already know that I recommend avoiding gluten because it’s a common allergen that has an anti inflammatory effect on the body. With a nutty, versatile texture, quinoa makes a safe replacement for oatmeal, or in salads, and even as a main ingredient for homemade gluten-free power cookies. Quinoa is also very easy to cook (it’s made in a similar fashion to brown rice) and lasts in the fridge in a glass container for up to a week. As a high-protein, low-starch food, quinoa also helps balance blood sugar levels, which can contribute to healthy weight loss. 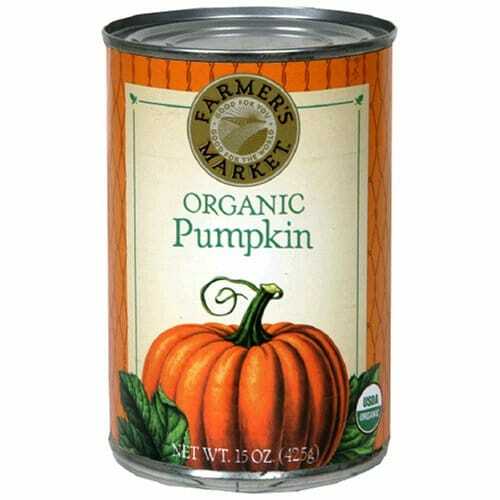 Pumpkins aren’t just for Halloween decor – they contain fundamental nutrients for the health of your cells. This is because pumpkin contains a nutrient called beta-carotene, which a form of vitamin A that helps improve eyesight and the health of skin cells. And if you’ve ever wondered what Mother Nature would choose as her post-workout recovery snack, it would be pumpkin. One cup of cooked pumpkin contains more potassium than a banana, which is an electrolyte that is eliminated through sweat during exercise. Since one of its primary responsibilities is to aid in muscle and nerve function, potassium is a nutrient you must replenish after a workout session. Adding pumpkin to your diet is easy, whether it’s blending it into a smoothie or adding it to stews or chia seed puddings or to homemade granola and quinoa porridge. The best part about pumpkin is that you can buy them while they’re in season and cook up extra to store in your freezer to eat year round. But it’s true: apples really are a well-rounded fruit that provide the body with antioxidants, flavonoids, and fiber – the key ingredients to promote detoxification and overall health. 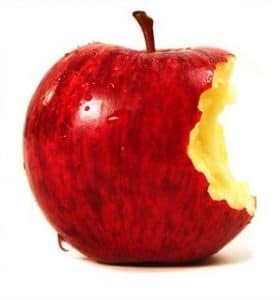 It’s also been said that eating an apple is like brushing your teeth, because the chewing mechanism of an apple helps stimulate saliva production to remove tooth-decay-causing bacteria. Apples also provide a cleansing and bacteria removing notion for the digestive system, as their fiber helps gently eliminate toxins, and also helps alleviate constipation and other digestive issues. With its deep green color, it’s obvious that spinach is rich in antioxidants such as beta-carotene, and nutrients such as chlorophyll. Chlorophyll is the pigment that gives plant foods their green color, and acts as a blood cleanser and purifier. It can also help diminish bad bacteria in the digestive system that causes bad breath and body odor. 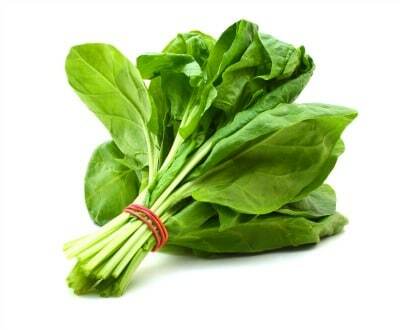 Spinach can be considered a healing food because it is a great source of plant-based (or non-heme) iron when cooked. This makes it an ideal plant superfood for vegans, vegetarians or anyone struggling to obtain more iron in their diets. Iron deficiency can be common for those who avoid meat, and cooked spinach can help. Raw spinach also makes a great addition to any green salad, smoothie, or homemade juice, although it’s best rotated with other leafy greens each week. This is because it contains oxalic acid, which when eaten in large amounts, may interfere with your body’s absorption of calcium. 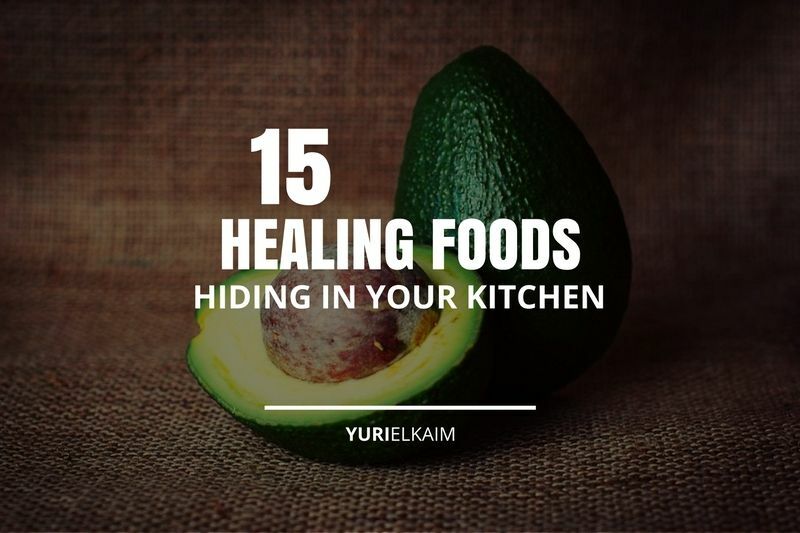 Did you have any idea that this many healing foods were lurking in your kitchen? Now that you understand why regular, everyday foods you find at the supermarket are considered superfoods, there’s no need to stock your cupboards with fancy supplements, or turn to various health products with claims to improve your health. Instead, just grab one (or more) of these items already in your pantry! Do you like the idea of healing with natural remedies? You’ll definitely want to check out my top 10 safest and most effective remedies. These are the go-to natural remedies I use at home to keep me and my family healthy (and drug-free), targeting skin, eye, and ear issues along with colds and flu. You can get the Natural Home Remedies Handbook – a $19 value – for FREE by clicking the banner below.